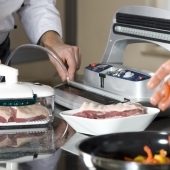 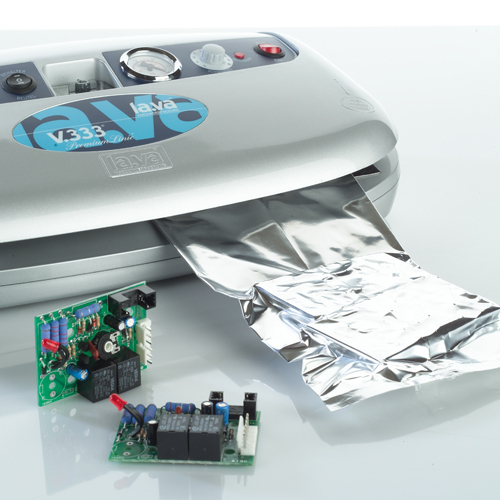 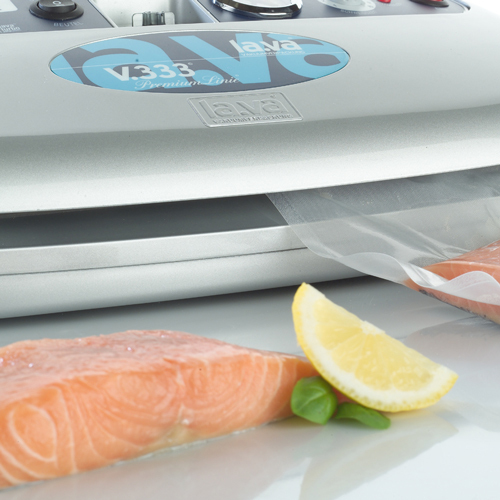 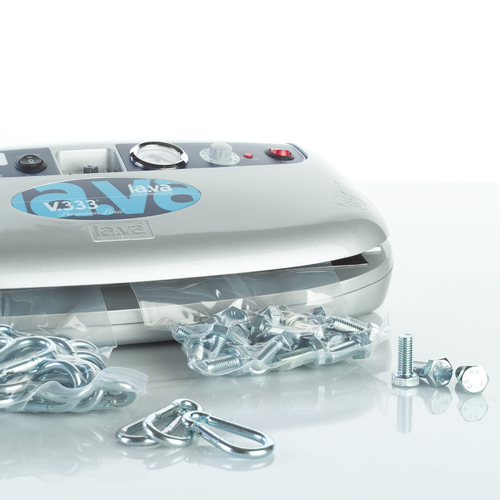 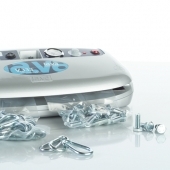 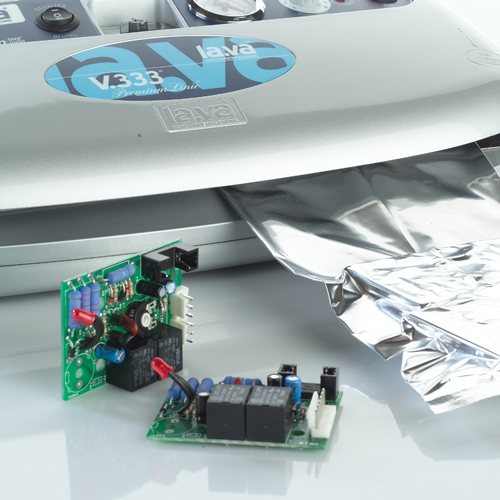 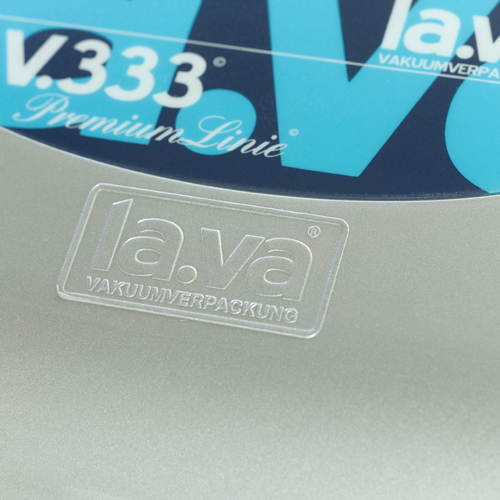 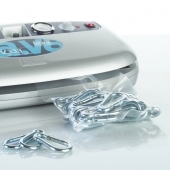 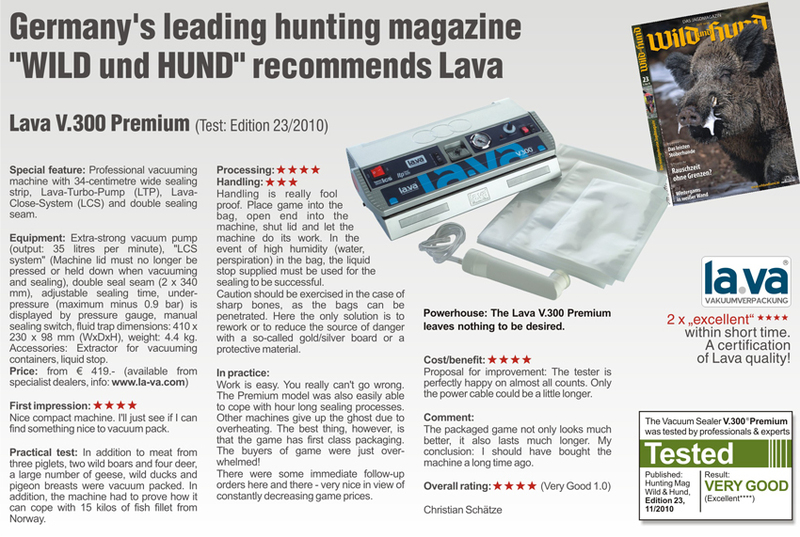 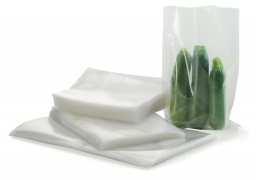 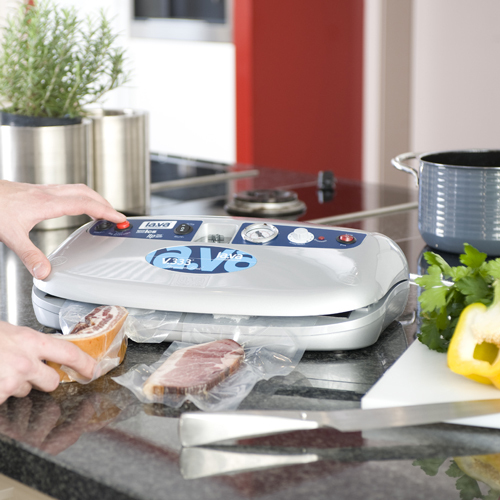 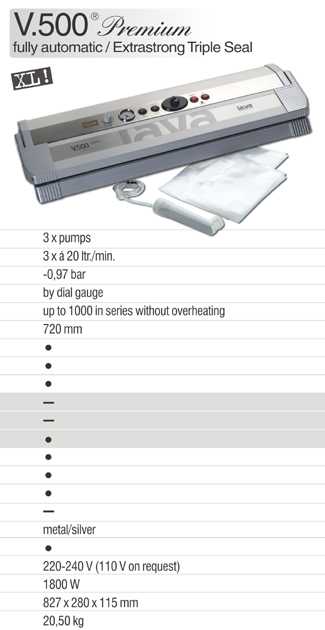 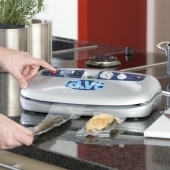 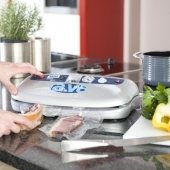 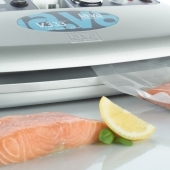 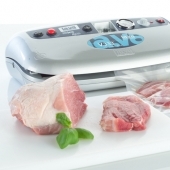 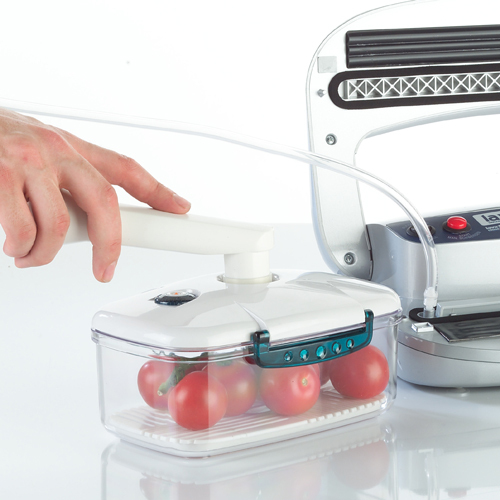 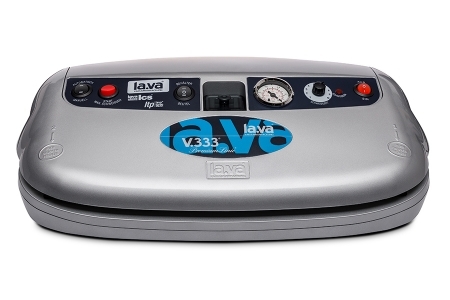 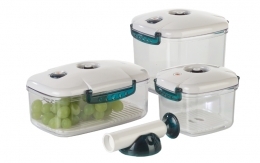 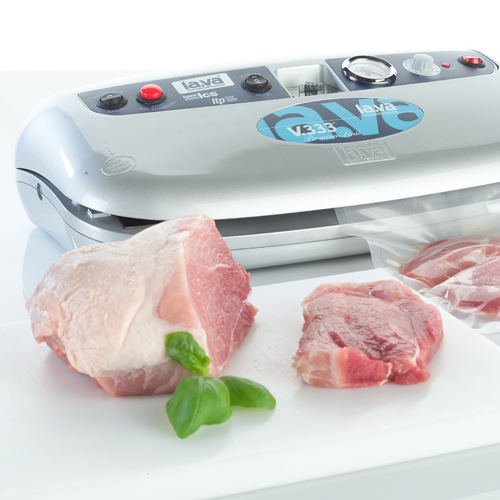 The professional Vacuum Sealer V.333® Premium silver ‐ no more leaking seals. 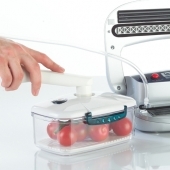 Perfect if the goods have an increased fluid content. 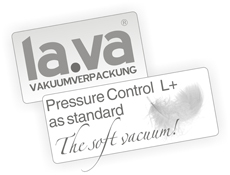 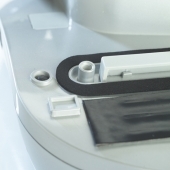 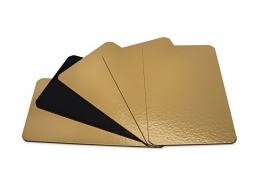 Perfect seals are guaranteed, each of the 3 seals is about 5 mm wide in a seal band length of 35cm. 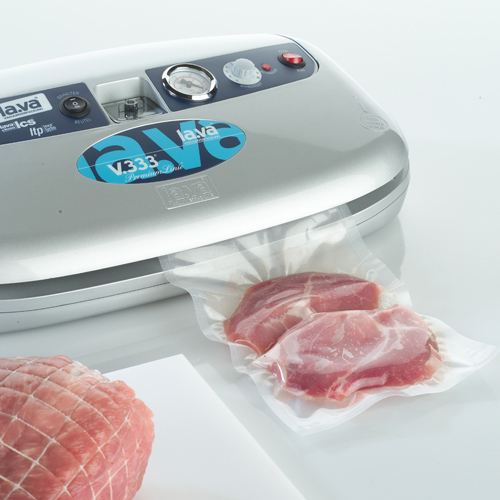 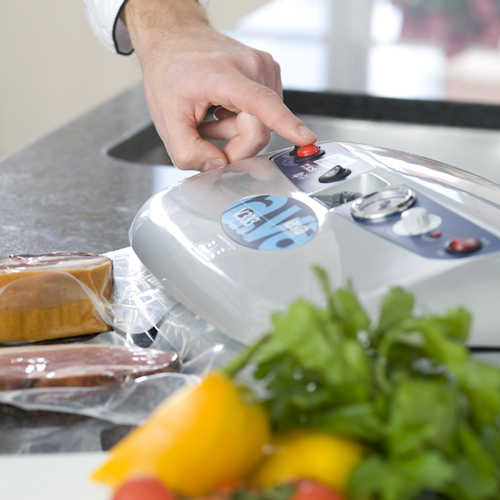 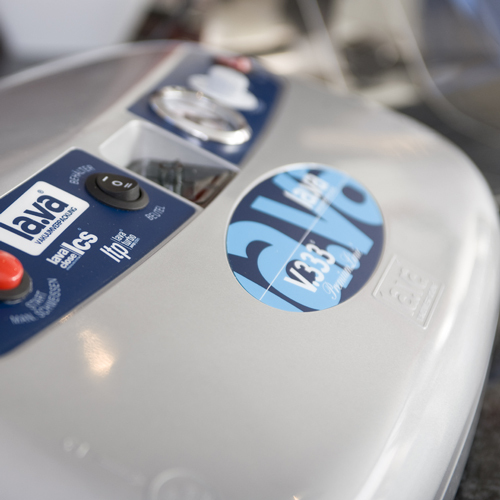 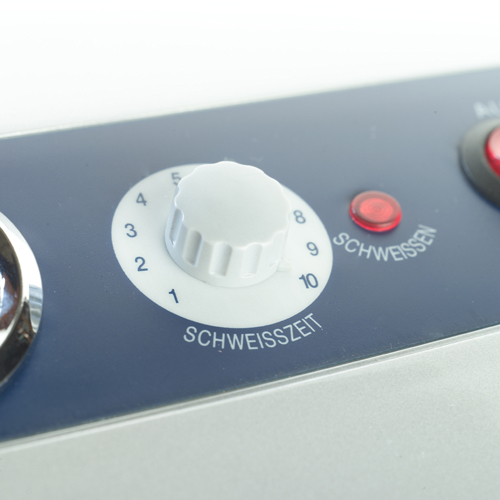 The V.333 Vacuum Sealer boasts the new design casing, the exact pressure gauge display, fully automatic operation and the maximum vacuum-pressure with the new 2014er Premium-pumps of ‐0.94 bar. 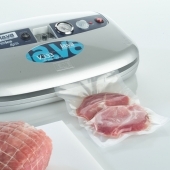 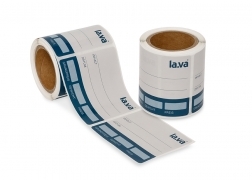 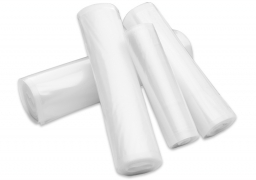 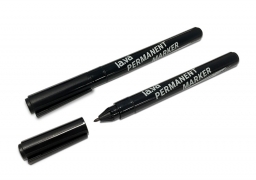 The sealer is used both in household and small business sector, as well as in industry. 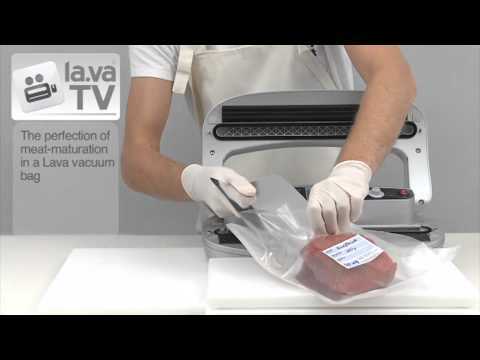 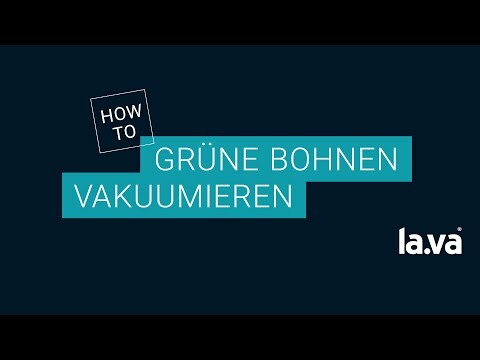 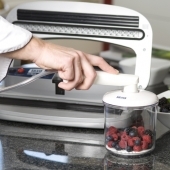 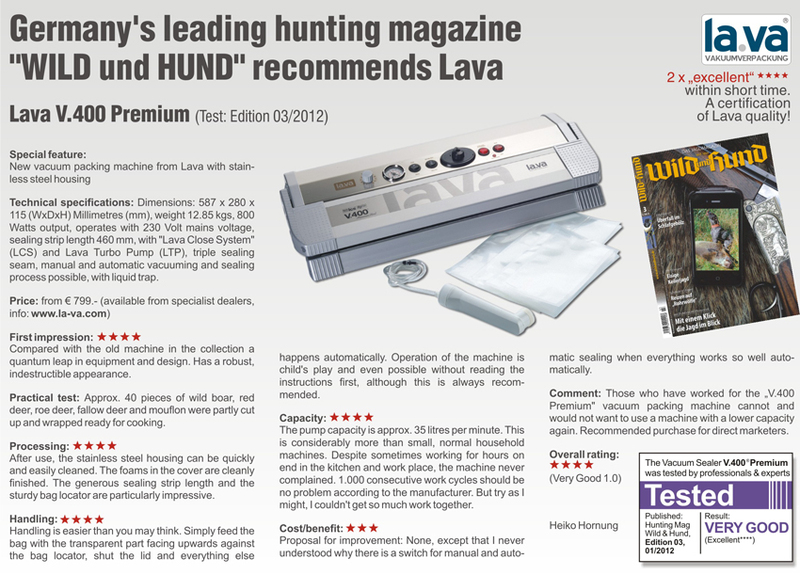 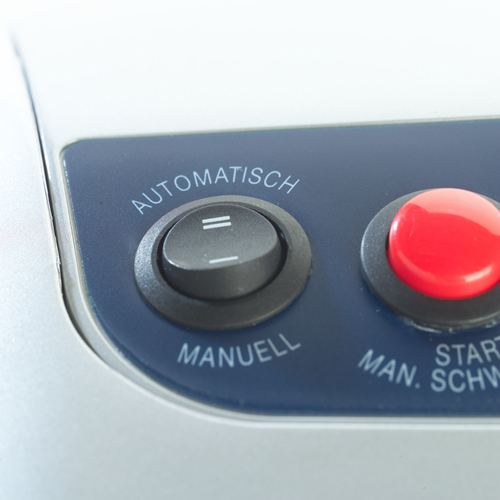 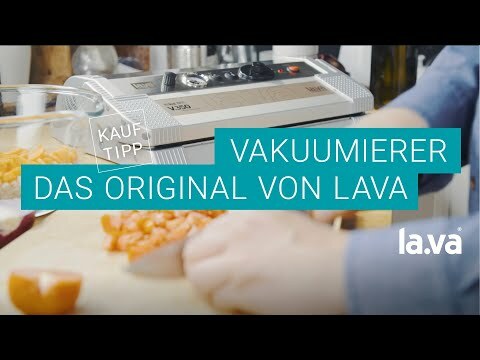 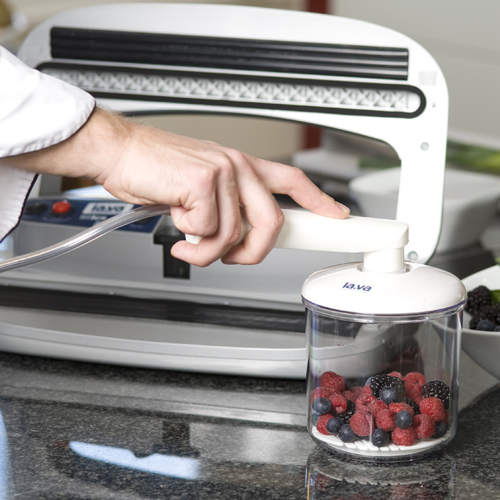 Fully automatic: Automatic capping vacuuming and sealing process. Monitored by Lava-sensor control.